My health frequently reminds me not to push myself physically and I have found a lot of salvation through my yoga practice. I start my practice in bed in the mornings on waking by focusing on my breathing allowing the ebbing-and-flowing of the breath to come and go freely. I am sure that it is this powerful practice that has kept me from getting bogged down with the innumerable obstacles and challenges and helped me to keep my concentration on developing the YOU & ME yoga system over all these years. 1. Improving my health through regular practise of Hatha (physical posture) Yoga to increase flexibility and stamina. 3. Supporting my mental and emotional needs through Pranayama (breath control) and increasing my vitality and ability to focus and to be calm with a sense of harmony within. 6. Applying selflessness and humanity through sharing my benefits of practice with other disabled people and their carers. (Bhakti – yoga of love). 9. Intellectual development through writing about my investigations in India, inspired by the enthusiasm and guidance of Beatrice Hope Alexander (personal advisor). 12. Developing a training network in order to develop professional relationships among those who practise YOU & ME Yoga. (Bhavna – yoga of thinking, feeling and reasoning to reach the final aim). I am sure there will be those who will shine through to train the future Tutors of Trainers, which will mean the YOU & ME system shall reign beyond my mission this lifetime! Then I should like to think I shall reach a state of contentment. (Samadhi – Bliss ecstasy). Recently going on holiday visiting a friend Luzia who I'd taught yoga 33 years ago, seeing first time since she moved to France 11 years ago. Having boarding my flight to Poitier, sitting comfortably in my seat. When just before take off a lady sat next to me who started coughing endlessly. I was not so worried about catching her germs, as it was a dry cough, but was more bothered by her discomfort. Sitting in close proximity soon after take off I casually mentioned, "You have a nasty cough." She replied, "Yes I caught it in England looking after my grandchildren. I shall go to the doctors as soon as I get home to get some antibiotics.” I could not help comment "I do not like such medicine I believe in more natural methods." She looked at me with intrigue and raised eyebrows. I continued to explain how swallowing hard rather than coughing could help stop feeling the need to cough. Because every time you cough a message gets sent to the brain to create more saliva which in turn causes us to cough. She chuckled and laid her head back on the headrest. The short flight was soon over - 75 minutes in total - and we were instructed to remove our seat belts. I realised I'd not heard her cough more than twice since we spoke. So I commented on this and she looked round at me with a smile saying, "It worked I haven't felt the need to cough anymore.” I was so pleased to be assured that natural methods can work so quickly and well! Having so much energy, tirelessly leaping all over the place is a characteristic of my 3 year old hyperactive nephew. An idea came to mind for helping him calm down with this saying I was brought up with 'To have 40 Winks’. So when he eventually laid down I asked him to blink, which he did with a cheeky smile while imitating me. I then told him we were going to have 40 winks and continued with, ‘1 wink’ and he blinked not just once but at least four times. ‘2 winks’ he of course blinked several times. ‘3 winks, 4, 5, 6...’ However, we did actually make it to 19 winks before he started to get restless. Time was in fact an hour before his bedtime, so we laughed as he got up from the bed and went into the living room to watch a video. He did shortly after watching it very calmly fall asleep! The other night I was sitting on the train reading my notes when a middle aged man sat next to me. After a while, he asked me what I was reading. I told him it was notes from a lecture I’d attended at British Library on blogging. I agreed youngsters have a head start with IT from a very young age, but they don’t have the wisdom we gain over the years. “So what do you mean by wisdom he asked.” I explained regardless of whose right or wrong the main thing is getting along with one another in the best way possible is the art and wisdom of Life. To my surprise he quickly grasped my meaning respectfully. He went on to ask what I do for a living. I told him I am a yoga teacher and author of several books on yoga for special needs. After a few more personal questions about why yoga, he then asked me to give him a freebie of some yoga. 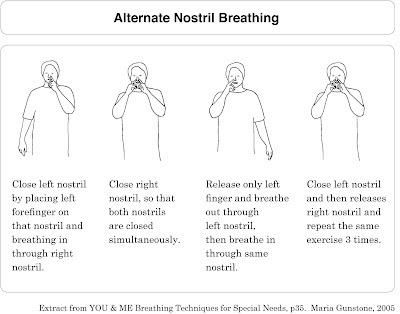 I immediately took the opportunity to show him how to do diaphragmatic breathing and the alternate nostril breathing. I’m pleased to say he loved it and said he would definitely practice it again. It was such good timing as we were pulling into my station, so I bide him farewell and wished him well with his yoga practice. I felt such a sense of purpose and joy to have shared yoga on a busy train with this stranger. If only we were able to do yoga together with other passengers it would make our journey in life much more enjoyable. Just a thought. Revisiting Chennai (previously called Madras) and meeting up again with Professor Jeyachandran after two decades was a sheer delight. I can honestly say this second visit was even more satisfying than my first. He took me to several places and introduced me to various colleagues, parents and children at university - specialising in disability and yoga - two special schools, two teacher training colleges, special olympics sports and a national institute for multiply disabled people. To everyone he praised me for developing the YOU & ME Yoga system, which after all was mainly inspired by him during my first visit. (You may have read about this in The Origin of the YOU & ME Yoga System, chapter 9 The Highlight of my Fellowship.) Making contact with such people was so meaningful. I witnessed excellent management of model centres with remarkable services provided by all concerned for the children that was exceptional! I was so pleased to see how dedicated the yoga is still being taught to special educator trainees and in the schools everyday for 20 - 30 minutes to groups of children from 3 years onwards accompanied by their parent/carer. 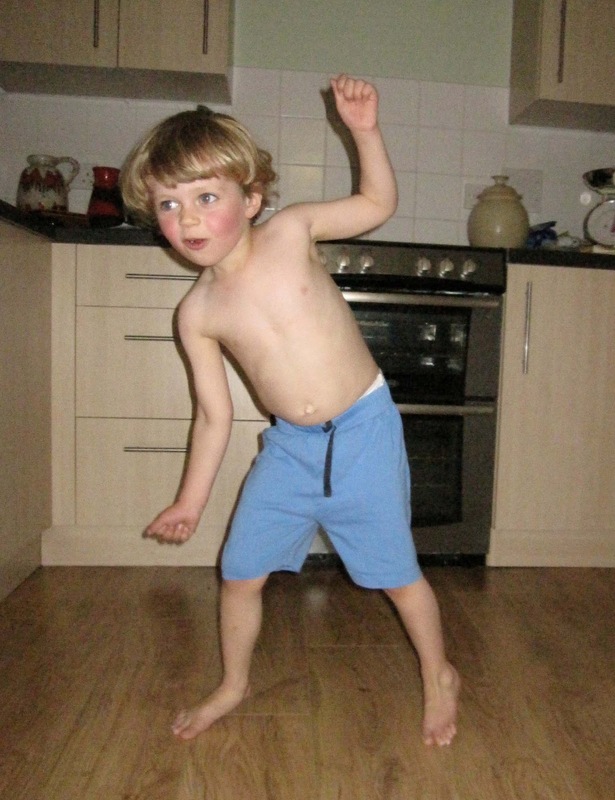 Generally, the education for children with special needs is very thorough and family orientated. Of course there is a lot of IT development, equal to here in the West. Children are also taught appropriate skills to help with their particular family line of work, e.g. cooking, farming, sewing, machining, laundry etc. Such vocational training is in addition to the national curriculum. However, the Professor told me that if he had his way, the children would mainly be taught yoga rather than the curriculum because he has seen how helpful yoga can be for their special needs. My return visit was most heartwarming and reassuring.While in Chennai, Jeychandran also took me with his PA, Kuluusha to visit two ancient Hindu temples. The first was The Venkateshwara Temple at Tirumala to make cosmic union with Vishnu and make one’s wishes come true. This temple is open all day. It is the most attended temple in India. There is never less than 5,000 visitors at anyone time and up to 100,000 on weekends and holiday periods. It’s annual income of 5 billion rupees is ploughed back into hundreds of choutries and charities. It holds a staff of 6,000, including 500 barbers who continually shave off heads of hair of the young and older Hindus - called tonsuring - to act as an offering to Vishnu, the protector. I think I was the only white person there and one of the minority left unshaven! Jeyachandran’s contacts meant we only had to queue for 2 hours (rather than at least 4) to arrive to see the image of Vishnu. When all at once, I was standing in front of a bright light experiencing the overwhelming divine force inviting me to make a wish come true. I made my wish for YOU & ME Yoga practice to benefit as many people as possible. Two days later we visited Mahabalipuram with his 20 teacher trainees, which was such fun. Here we saw gigantic monolithic and granite temples, caves and statues, built 600 A.D., depicting the Hindu Gods, myths and legends. My early study of the Bhavagad Gita became an awesome reality! After an incredible time with Professor Jeyachandran experiencing his compelling work and Indian culture. 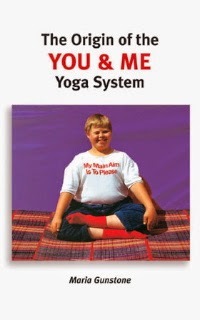 I decide to share my YOU & ME Yoga system with others who wish to benefit from it in whatever way they need. And I am ready to share my system with everyone I can because YOU & ME Yoga is as versatile as those who use it.